A graphic design student in Huntington, WV won a total of four awards this month for work he did during his internship. Patrick Eason was awarded the four Pixie Awards by the American Pixel Academy, two of which were “Pixie Platinum” awards that are given to only the most distinguished works. 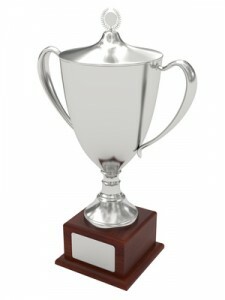 The Platinum Pixie Award is the organization’s highest honor. Eason is a senior in the graphic design school program at Marshall University, College of Fine Arts. He has been working at Rainmaker Inc, a promotions and public relations company in WV, as an intern while finishing his graphic design education. The American Pixel Academy awards are not reserved for students of graphic design school, making his stellar win even more impressive. Pixie Awards are given to graphic designers in honor of outstanding animation, motion graphics, and effects. The student at the graphic design school was just one of over seven hundred entrants from around the world. He was also one of only three groups that won as many awards. The graphic design student said that he won them because of three dimensional animation works he had done at Rainmaker. “We had submitted four spots … two of which involved 3D models. Those two that involved models I handled fully, from motionography to animation. In addition, I created the logo animation at the end of each of the four spots,” Eason told Huntington News. His fellow co-workers at Rainmaker were impressed, as well. “I have been in this business for 30 years and frankly, Patrick is one of the most talented young students I have ever had the chance to work with,” said creative director Nancy Geletko to Huntington News.